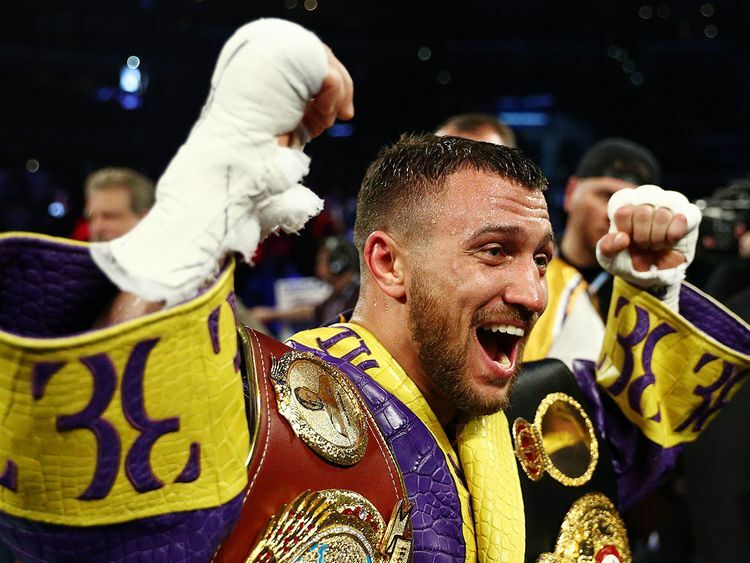 Los Angeles: Vasiliy Lomachenko acted bored by the assignment of his mandatory challenger Anthony Crolla, so he responded by thrilling his fans in an all-action showcase of his power punching prowess. The three-division champion from Ukraine overwhelmed Crolla with blistering blows on Friday night at the Staples Center, battering him with damage that culminated with a chopping right hand to the head that brought a fourth-round knockout. “I want to say thank you to my doctor (Neal ElAttrache), now I have come back 100 per cent,” Lomachenko said in reference to the 2018 right shoulder surgery that allowed him to complement his left-handed power punches with formidable jabs and the closing punch against Crolla. Lomachenko (13-1, 10 knockouts) retains his WBA and WBO belts, and his furious work in the ring was punctuated by a bold message for WBC lightweight champion Mikey Garcia.